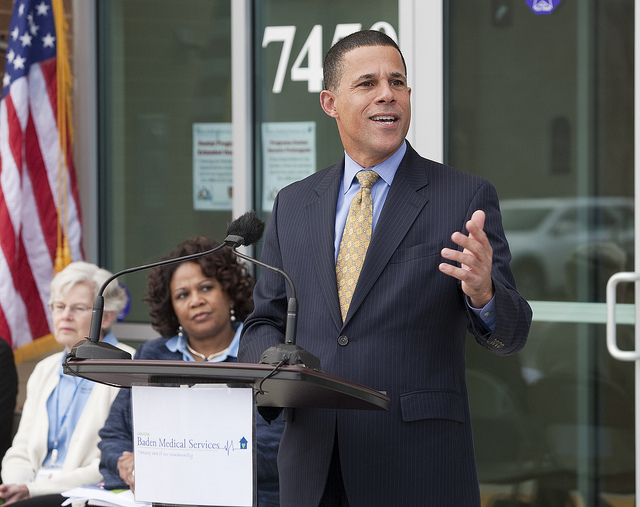 Greater Baden Medical Center held their ribbon cutting ceremony week for their new facility in the 301 Commercial Center in Brandywine, MD. Marrick Commercial developed the 301 Commercial site and built Greater Baden Medical's building and completed the sale of it to them earlier this year. Notable politicians that were at the ribbon cutting were Lt. Governor Brown and Senate President Thomas V "Mike" Miller, Jr. Marrick Commercial is proud to have been a key part of helping Greater Baden move into their new facility. For more information on the important services they provide to the community visit http://www.gbms.org/.